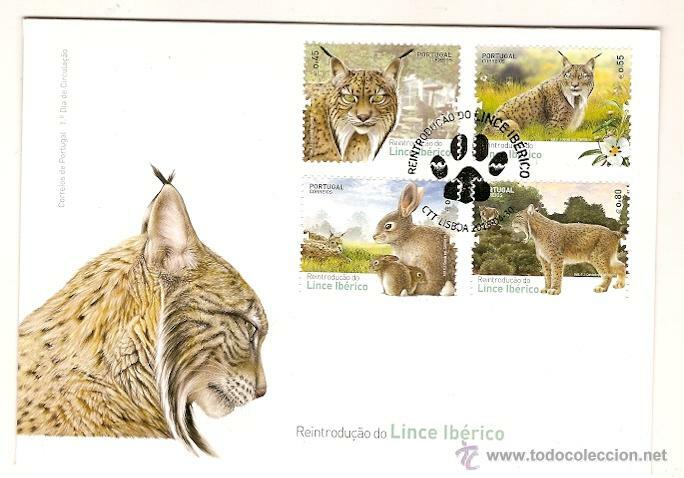 176 Iberian lynx have been released into the wild since 2009. The transfer of captive Iberian lynx from Spain to Portgual has been completed with the arrival of two males, bringing to a total of 16 animals (11 males and 5 females) at the new breeding centre in Silves in the Algarve. According to the latest figures from the Andalucian government, there are now some 223 lynxes in the wild in Andalucia, 63 in Doñana and 160 in the Sierra Morena. This is remarkable increase from the low point of an estimated 120 animals in 2004 (42 in Doñana and 78 in Sierra Morena). This year 21 cubs were raised in Doñaña with a total of 16 female territories. As far I know, these total figures do not include the 15 odd animals recently discovered in Castilla-La Mancha. More lynx images here from the Ex-situ Conservation Programme from where the above photo is taken. 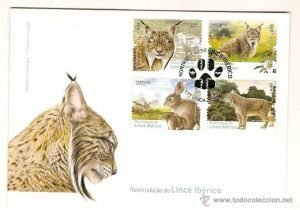 As reported previously by iberianature, The first Iberian lynx has returned to Portugal after twenty years as part of the captive breeding programme. Watch video and report in Portuguese here with interview (in Spanish) with iberianatureforummer Iñigo Sanchez of Jerez Zoo, from where the female lynx, Azahar, was taken. 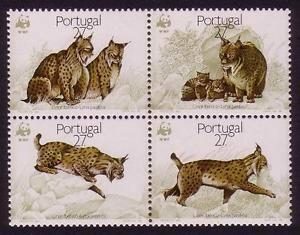 Twenty years after becoming extinct in Portugal, the Iberian lynx is to return to the country next week as part of the reintroduction programme. A female will be transferred to the new breeding centre in the village of Silves in Portugal. A total of 16 animals are to moved to the centre in the coming weeks. These animals will be used for captive breeding rather than for releases. 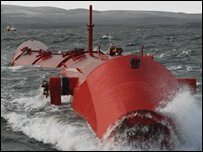 The Spanish government has agreed to “cede” (what a horrible word!) several lynxes to Portugal as part of the reintroduction programme. More, no doubt, on this soon. EuropaPressAnd also in the areas earmarked for lynx reintroduction (Hornachuelos and Guadalmellato (Córdoba) and Guarrizas) Jaen), a questionnaire has found 68% of persons believe that the presence of the lynx in their counties will boost tourism. Portuguese environmentalists have denounced the deliberate shooting of the country’s only nesting male Iberian Imperial eagle.The incident took place in February in the Vale do Guadiana natural park, close to the country’s southeastern border with Spain. 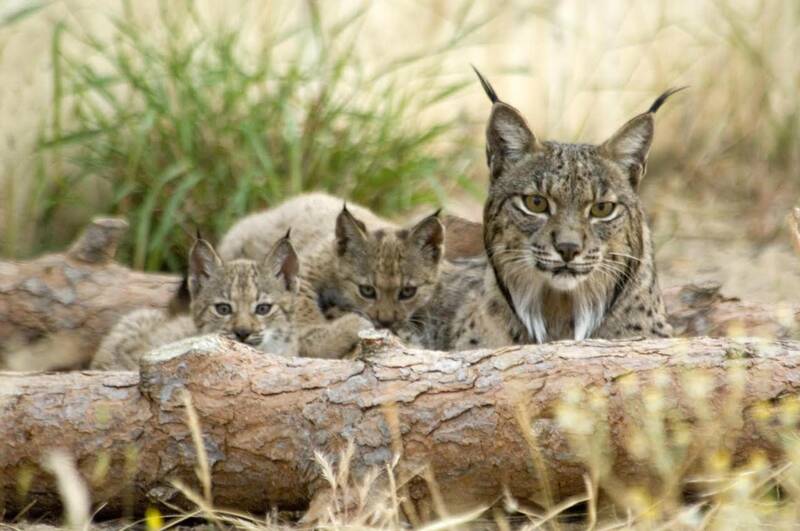 Miguel Rodrigues, spokesperson for SOS Lynx, said, “Irrational attitudes constitute one of the main barriers to predator conservation in Spain and Portugal. If predator persecution cannot be adequately controlled, the future recovery of many important predator species will be in doubt.” The species was once widespread across the Iberian Peninsula, but is now confined to small parts of central and southern Spain, and areas close to the Spanish border in Portugal. “Irrational attitudes constitute one of the main barriers to predator conservation in Spain and Portugal, and if predator persecution cannot be adequately controlled, the future recovery of many important predator species will be in doubt”. The Spanish (or Iberian) imperial eagle is one of the three rarest birds of prey in the world. Spain currently (2007) is home to all 234 pairs of imperial eagles, with a slight rise in recent years (see news archive on iberianature.